Isomeric biscyanomethylene-substituted 1,3- and 1,2-pyrilo-4-squaraines have been synthesized. The formation of a dye, derivative of 1,2-squarate, from the derivative of 1,3-squarate has been demonstrated for the first time. Electronic absorption spectra of the synthesized dyes have been studied. The molecular and crystal structure has been investigated by X-ray diffraction analysis. Both isomeric dyes exist in the cis-conformation. Russian Text © V.V. Kurdyukov, Yu.G. 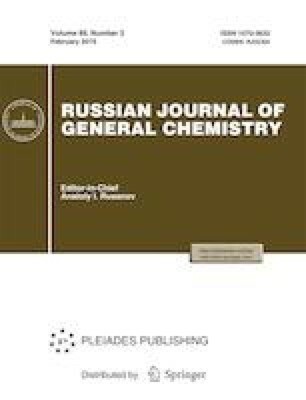 Vlasenko, 2019, published in Zhurnal Obshchei Khimii, 2019, Vol. 89, No. 2, pp. 211–217.